The moment we had all been waiting for is finally here! 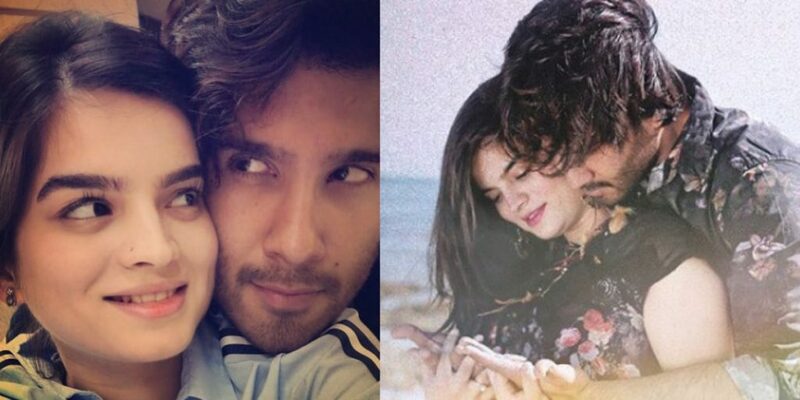 Yes, the last time people were doubting Feroze Khan and wife Alizey to be expecting their first child, it was as if hell broke loose on the internet. And ever since then, we had just been waiting for the couple to break silence on this matter and see whether or not news like this is true. But you know, some people can’t help the phuppos inside them. The adorable duo, Feroze Khan and Alizey Fatima got married last year in an extravagant affair and every Pakistani was closely following the two. And when we say closely following, we mean it. From the celeb list who attended the wedding and the dance practices that were prepared by Umaima Malick and sisters, everything was so on point! However, we kinda miss seeing the lovebirds together at shows and events! We miss your adorable picturess!! This was the picture that brought out the phuppo in everyone. Lol. 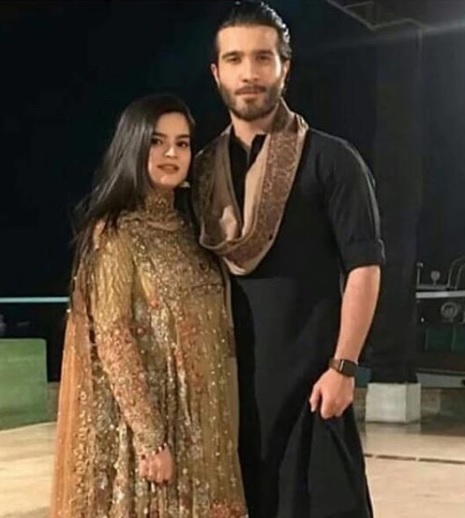 The couple was spotted at the wedding of Raza Moosav the associate vice president at ARY Digital Network for dramas with Ramsha Kohati (also of ARY) and the pictures had gone viral making people notice Alizey’s alleged baby bump. LOL..
Also, ever since the two have gotten married, Feroze Khan has been surprising his fans by posting some really romantic photos, wishing his wife, Alizey on multiple occasions in the sweetest way! Man, this couple has stolen our hearts away, Masha’Allah! And ever since then, the couple has been teasing us with their adorable pictures like these! Haayeee..
Matlab, can this get any cuter?? Alizey’s not too active of on social media, but when she is, this is what we get! Hayee…. But now, the Khaani actor has finally spilled the beans! Yes, the two expecting their first child is not a rumor anymore! The duo is ACTUALLY expecting a liddol baby, real soon! Don’t believe us? Well, Feroze Khan, in an interview has finally spilled the news about becoming a father and let’s be honest, we’re kinda excited to see their baby!! Aren’t you?! He even said that marriage has made him a better person and also that he now tries to pray five times a day. Hayeee… beautiful! Well, it sure seems like Feroze Khan is pretty excited to welcome the baby into this world and becoming a father for the very first time! We wish the couple best of luck for their new journey! Sending loads of love and prayers their way!